Show your customers, employees, and industry where you stand in appreciation of those who serve and sacrifice. 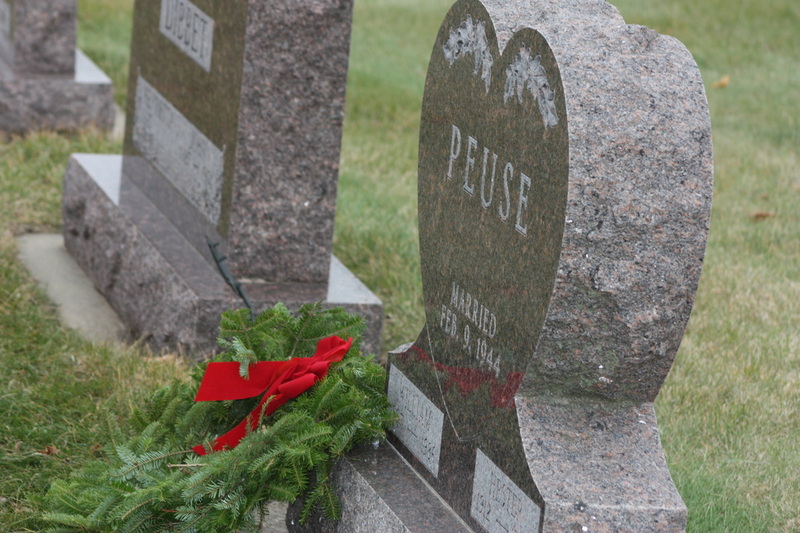 Sioux Center Wreaths Across America works each year to ensure every headstone is covered and we need your help to honor all those who served and made the ultimate sacrifice. The majority of our donations come from the grassroots support of families and individuals, one wreath at a time. Each live balsam wreath is a gift of respect and appreciation, and placed on the graves by volunteers as a small gesture of gratitude for the freedoms we enjoy. We need your help to honor more veterans, and their families. See below for ways to give as a business. Be a Corporate Sponsor for $750 and sponsor 50 wreaths to remember, honor, and teach in Sioux Center and Carmel. In return, your logo will be featured on our marketing materials, website, Facebook, and in the printed program of National Wreaths Across America Day in December. Donate your own amount to help with laying a wreath on every veteran's grave in Sioux Center and Carmel. Your business will be listed on our website as a "Business & Organization" sponsor. You can choose your own amount below or visit our Sponsor page for set levels.